WireCo WorldGroup is the world’s leader in manufacturing, engineering, and distributing wire rope, synthetic rope, specialized assemblies, wire products, and electromechanical cable. The Challenge: WireCo WorldGroup consists of 13 different brands and product lines, and faced the problem of presenting multiple solutions in a simple and visually appealing format. They also needed to be prepared to speak directly to each individual market segment and visitor to their booth at the 2015 OCT trade show. Booth visitors had their own unique needs and information requirements, and a dynamic, interactive solution was needed to help make the complex WireCo WorldGroup story clear, and to empower their representatives with access to all of their detailed product information in one beautifully designed iPad app. 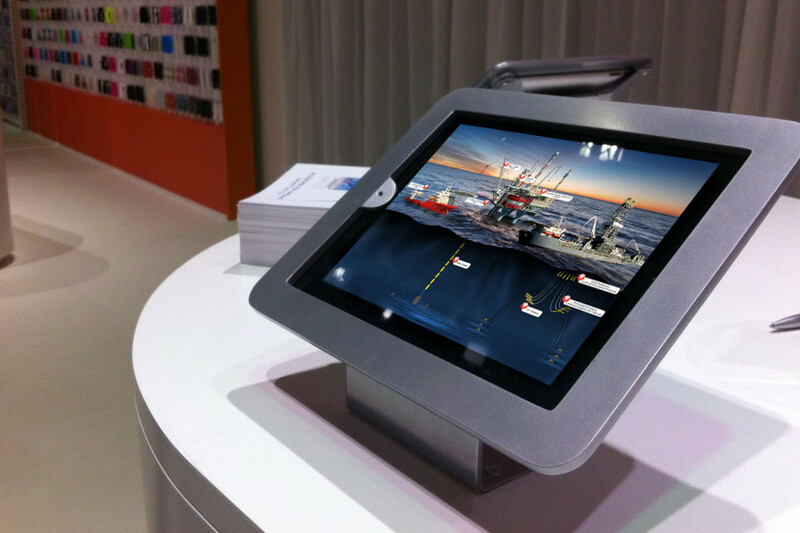 The Solution: WireCo WorldGroup employed the trade show app development services of Command.App in the creation of a unique and visually appealing front-page 2D image of all products and brands, inclusive of their position within the offshore oil and gas industry equipment and use. The WireCo brands and solutions were positioned in a way that made sense to their prospective customers and clients, and linked directly to a deep-dive of relevant information via supporting documents, multimedia videos and files, and other available content on the particular subject. The Results: Measurable, numeric results were achieved. In 2015 the program returned 250 leads, a 50% increase in the number of leads gathered in 2014. Furthermore, exhibit traffic increased by 30% compared to that of the previous year’s booth.